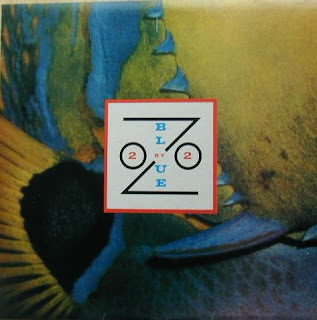 Blue Zoo were a British new wave band, between 1980 and 1985. Formed in 1980, their original band name was Modern Jazz, and they released a single "In My Sleep (I Shoot Sheep)" in that year. Band members were: Mike Ansell on bass, Matthew Flowers (formerly of new wave band "Sore Throat") on keyboards, Pete Lancaster on trumpet, Andy O (Overall) on vocals, Tim Parry on guitar and Mickey Sparrow on drums. Steve Pond from Inner City Unit played occasional synthesizer. Parry later went on to become a record producer. Blue Zoo had one UK hit single. In October 1982 "Cry Boy Cry" charted and reached number 13. It stayed on the UK Singles Chart's Top 40 for eight weeks. They released an album Two By Two (sometimes written as 2x2 or 2By2) in 1983. Blue Zoo played their first concert in 28 years at the Ginglik on Shepherd's Bush Green on 22 July 2010. I have a 7"single by Blue Zoo, the hit from 1982 "cry boy cry" with B-side "off to market dub". Really thank you for the uploads! it ain't easy to catch up with all records re-released as CD when ordering some of them just gives reply "sorry but CD's are out of print/remaking". so, thanks a lot who ever you are.